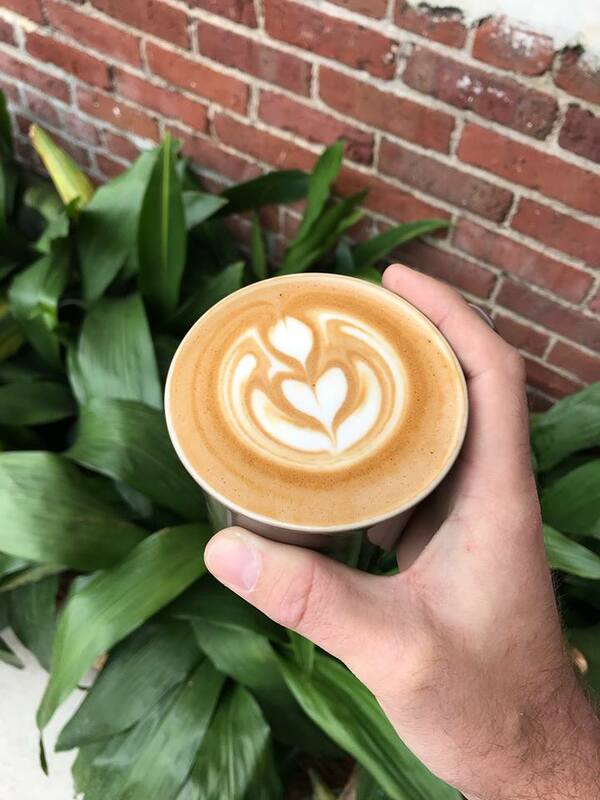 The Daily: I love The Daily because along with great coffee drinks, they have an excellent selection of pastries (baked by Butcher & Bee) and a great breakfast menu, oh and it doesn’t hurt that it’s a few steps from the office. They also have a great grab and go section, so I always grab something for lunch as well when I go. I would say the one downside is that even with their renovations there is not a ton of seating. What I order: I am LOVING their seasonal drink the Cardamom Coconut Cold Brew. All of their pastries are fantastic but their Rose Pistachio Croissant is really special. The flavors are really intriguing but subtle and the croissant is insanely flaky. 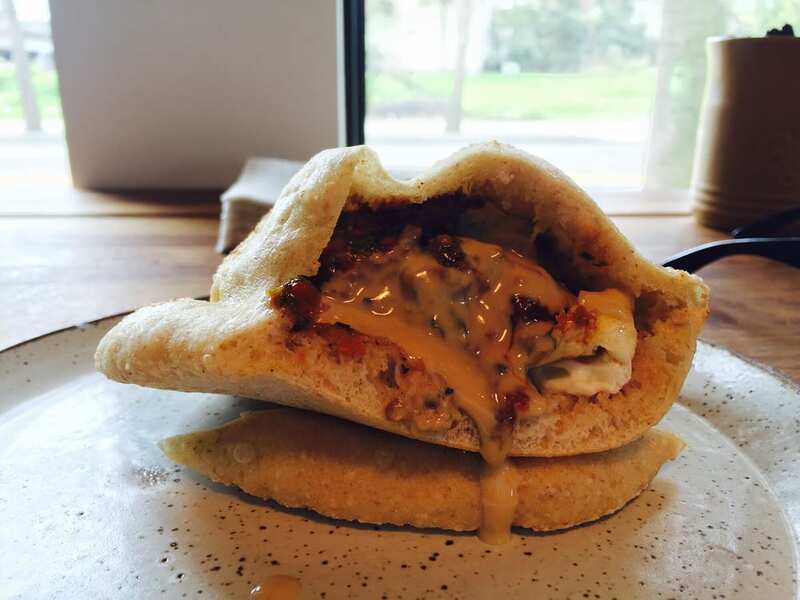 I am also a huge fan of their avocado toast with a runny egg and the breakfast pita. Mercantile and Mash: M & M is my go to coffee shop for meetings or a out of the office day because it has a lot of space and seating. Like The Daily, they have fantastic pastry, breakfast, lunch and grab and go options, they also have a huge selection of locally made food and beverage products. On Wednesdays they feature a specialty artisan donut flavor such as lemon curd, strawberry shortcake, and crème brûlée donuts, so if you ever need a hump day pick me up a visit to M & M is a must! What I order: I love that they have iced coffee on nitro, it makes the coffee smoother and creamier without having to add anything. I am obsessed with their Paris by Night coffee which is their version of a Vietnamese iced coffee. They also have really great seasonal syrups that I love to add to their Nitro iced coffee. Their current one is Coconut Caramel and is SO good. 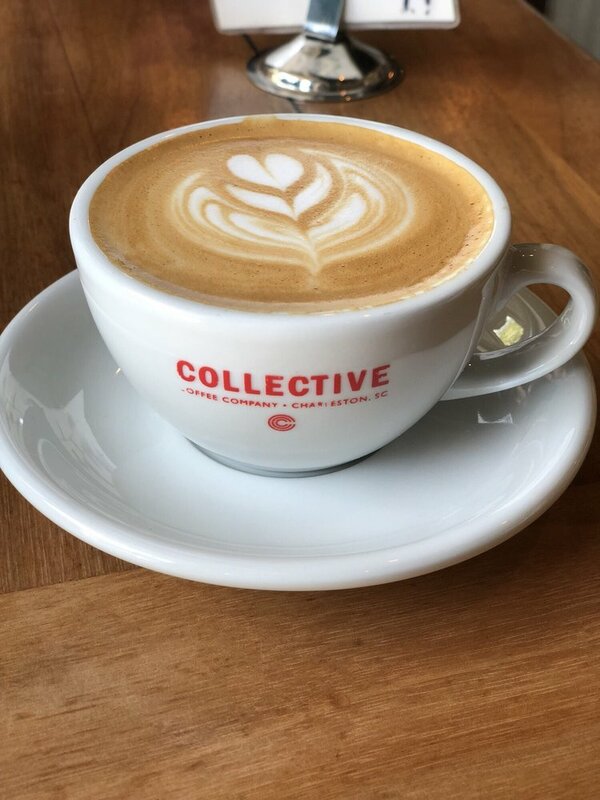 Collective Coffee: Collective is not necessarily the best spot to go if you are in a hurry, because it is always PACKED. However, it’s a great spot for breakfast and a latte when you do have a little extra time. Despite being busy, service is always really friendly and relatively quick and the space is really neat because they showcase artwork from local artists. What I order: I usually stick to either an iced coffee or an iced latte and I really like both their almond latte and their chai latte, but they also have really interesting pour over flavors that are worth a try. Food-wise I love their pimento cheese biscuit, it is a hangover lifesaver with pimento cheese baked into a really buttery biscuit that’s then topped with brown sugar bacon (YUPPP), an egg and cheese. Their huevos rancheros are also SO good, even though its an unexpected item for a cafe menu, it’s a breakfast dish I crave often. Tidal Grounds: Tidal Grounds is a recent discovery, but I love, love, love it! It’s located in North Mount Pleasant in the same shopping center as On Forty One and Mi Xao. Because it’s further out, it’s a lot more quiet than other spots and a great place to just read a book or do some work with a cup of coffee. If you love a fancy coffee, this place a must because they have a lot of unique syrup flavors to choose from and each one I have tried is really excellent. What I order: I usually have a go to order at each coffee shop I go to, but Tidal Grounds has so many options, that I like to really switch it up. I really love their Honey Cinnamon Latte. Their Galaxy Latte is really unique and also looks really cool. It is made with vanilla, mocha and coconut ash (which gives it its black color) and tastes like a toasted S’more. Food-wise, I LOVE their bacon and brussels sprout quiche. Gala Desserts: Warning do not go into Gala Desserts if you are on a diet and just need a coffee, because you will no longer be on a diet. 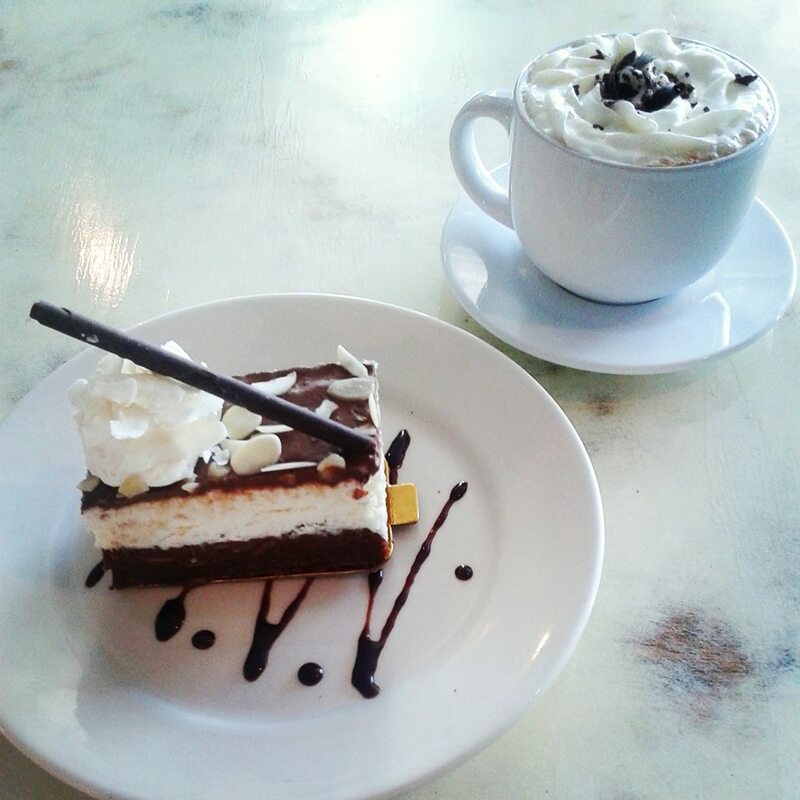 As the name implies, Gala has an incredible selection of desserts, but this adorable little spot also has great coffees, breakfast items and salads and sandwiches. You also have the option of making your coffee boozy if caffeine simply won’t cut it. What I order: Because I always leave with a decadent dessert (or two) I usually stick to a simple iced coffee, so I’m not rendered completely useless by my sugar coma, but they do make a great latte and have some fun flavors to choose from. Savory-wise I like their breakfast sandwiches because they are all made in a panini press so they’re crunchy on the outside and super ooey on the inside. Dessert-wise you really can’t go wrong with anything they have, but their Almond Joy Dessert is out of this worlllllllld. I also really love their Salted Caramel Cashew Tart.